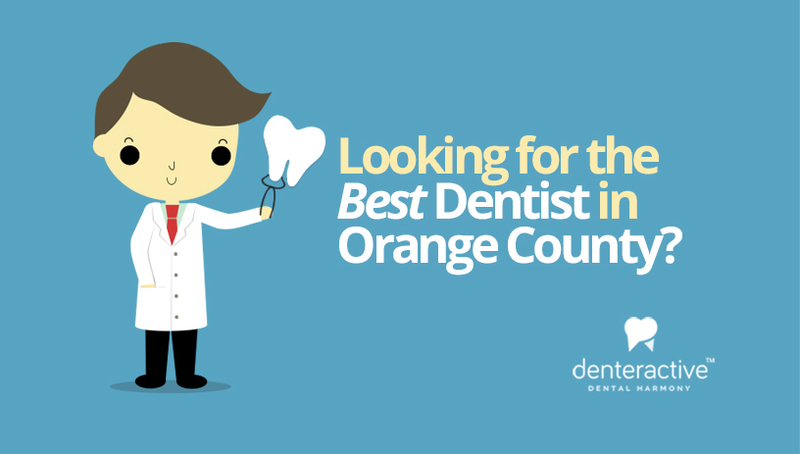 For most Orange County families, finding a new dentist is like pulling teeth. Sure, a Google search definitely beats the Yellow Pages, but unless you actually enjoy opening about fifty different browser tabs and spend hours reading biased, grammatically flawed Review sites (where the best reviews are up for sale to the highest bidder), you’ll soon find yourself lost amid a flurry of websites where every dental practice claims to be the very best. What’s an overwhelmed Internet user to do? That’s why we created Denteractive. With the Denteractive platform, you’ll be able to instantly see profiles and ratings – and schedule appointments with the dentist you trust – all from one easy-to-use web or iOS app. Denteractive is a simple, intuitive dental matching service that allows you to find your ideal dentist in Orange County, read profiles and reviews, discuss your dental concerns and emergencies, and even book an appointment– all from one convenient interface. Our app allows you to search for dentists by location, by dental procedure, and by insurance. You can view available dentists in your area in an easy-to-read list or in an informative, interactive map. And best of all, it’s completely free. With Denteractive, you can even invite and interact with your existing dentist; or, with as many dentists as you feel is necessary to address your questions and feel comfortable with your dental care options before your actual visit. All of the dental professionals on Denteractive have been carefully vetted to ensure they maintain the very best standards of care, which means you’re sure to find a dentist you can trust. Denteractive’s integrated text and video chat capabilities make it easy for you to connect with the dentist of your choice and ask questions, find optimized information and education, and get professional advice. You can also quickly send your dentist videos, pictures, and other healthcare files via our messaging platform. And with our enhanced security protocols, you can have peace of mind knowing that your personal information is always secure. Is your preferred dentist available to chat? Just text him/her with our secure instant messaging service; or, with just one tap, you can view your dentist’s availability in calendar format and immediately schedule a videoconference. With us you’ll always be able to reach your dentist of choice. Denteractive even has an emergency feature that allows you to instantly connect with emergency dentists near you for immediate attention. Finding a dentist is a challenge in and of it self, but even after you’ve sought dental treatment, you’ll still need to track your visits and procedures for future reference! With Denteractive, you can keep all of your critical data and records in one place. Denteractive’s tracking feature will show you all of your dental visits and let you sort them by date, procedure type, and even insurance type. No matter what information you need to find, it’s never out of reach with Denteractive. 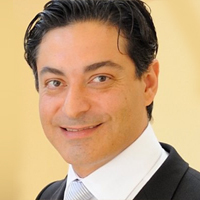 Finding a great Orange County dentist doesn’t have to be a struggle. With Denteractive, you can quickly view dentist profiles, reviews, and availability – for free – all from the comfort of your home or on the go. Download the Denteractive app to view Orange County dentists today.